VISIT US! Antique Japanese fine china by the Satsuma Pottery company. 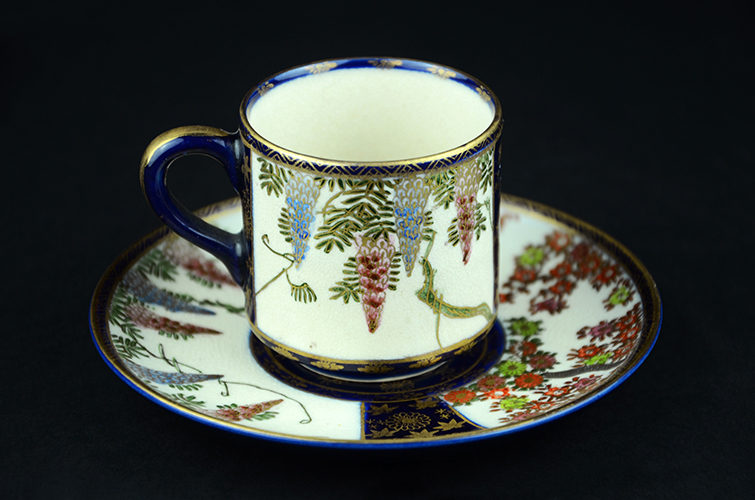 Hand-painted cup and saucer depicting weeping wisteria and cherry blossoms. Made in Japan. VISIT US! 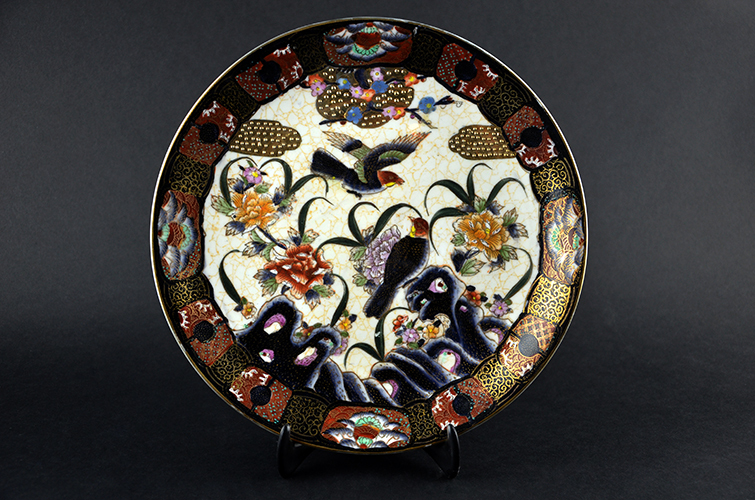 Antique Japanese fine china by the Satsuma Pottery company. Hand-painted dinner plate depicting scene of woodland birds. Made in Japan.